Hall of Fame running back who starred for the San Diego Chargers from 2001 to 2009, winning two rushing titles while being selected to five Pro Bowls. 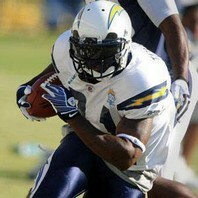 In 2006, he set the single season NFL record with 31 combined rushing and receiving touchdowns. How much is LaDainian Tomlinson worth?